With a variety of personally invented instruments named ‘The Saxogramophone’, ‘The Hornicator’ and the rather more succinct ‘Hank’ to mention but a few, singer-songwriter Thomas Truax was always going to produce something a little bit different when tasked with creating the soundtrack to acclaimed director Kay Voges’s production of Henrik Ibsen’s ‘Peer Gynt’. Just like Ibsen’s work this LP, Trolls, Girls and Lullabies, is a theatrical fantasy that welcomes the listener to an aural spectacle that stands as an enchanting performance all in itself. 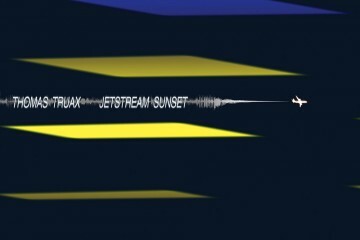 From the off Truax makes his listeners aware of the illusion of the theatrical curtain. Opening the album with the words “Welcome to our little theatre, welcome to our little show” is as effective on record as it surely is on stage, allowing for escapism and total immersion as his warped guitar picking ascends and descends each chord to construct the sound of an otherworldly lullaby. Rarely inclined to take himself seriously, Truax continues to request that the audience “put to sleep your handy phones”, again asserting the fabricated nature of this imaginarium we are about to enter. Of course once we have stepped into his magical world it’s so easy to get lost there. Be it with the psychedelic romance of Crazy Me or the zany To Thyself Be Enough (Troll Song), a track that would easily work as a Disney film number, Truax continues to plunge his listener into an ocean of diverse sensations. At times he recalls a tender Lou Reed and at others the dark aggressive tones often heard from Nick Cave or Mark Lanegan. A variety of instruments help to create this collage of sound, ranging from simple acoustic and distorted guitars to the electronic organ and orchestra style kettledrums heard on the thrilling instrumental Einen Schluck, which comes out sounding like something between MGMT and Super Mario Brothers. It’s hard to acknowledge that the vast majority of this album is the brainchild of just one man, when it feels like the culmination of a thousand completely different ideas, evidently a result of Truax’s exploration of the Norwegian folklore that inspires the play and his own creatively pulsating consciousness. Trolls, Girls and Lullabies shines particularly when it delves into two inspired covers of (I Can’t Get No) Satisfaction by the Rolling Stones and Nico’s Mutterlein. The former is a down tempo delay-ridden deconstruction of the song made famous by Jagger and co., the messy distorted sound of the guitars and simple percussion completely subverting the tight catchiness of the original. This breaking down and reconstructing of the Stones track induces a pretty sinister tone into the familiar pop song, reinvigorating it with the darkness and rebellion it exuded around the time of its release, whilst the Nico cover calls upon the eeriness of the original and of Truax’s often ghostly vocal ability, replacing keys with dirty guitars and providing an unnerving backdrop to Voges’s production. As the familiar sounding final track Punishments and Lullabies progresses into a more punk rock sound than its twin, opening song A Little Like Peer Gynt, it feels as if the same curtains that opened this surreal world to you are slowly closing, this great show having sadly played out its final act. Trolls, Girls and Lullabies surely takes on a new form when acting as the backdrop to Ibsen’s play, but by no means is it incomplete without it. In fact, few albums of late have felt as assured and accomplished as this. 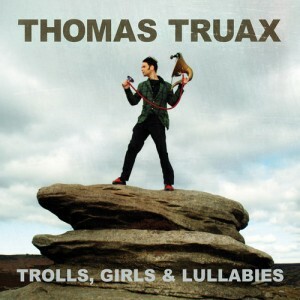 The aural world of Thomas Truax is brimming with mesmeric and emotive qualities, and once you have left it, real life feels a tad colourless in comparison.